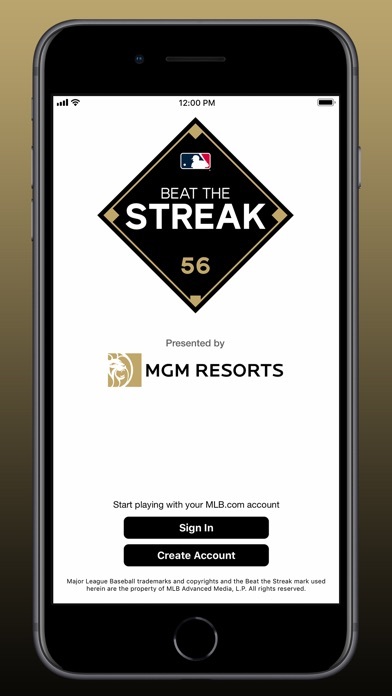 Win millions of dollars and take down baseball’s toughest streak from your iPhone with MLB.com Beat the Streak. 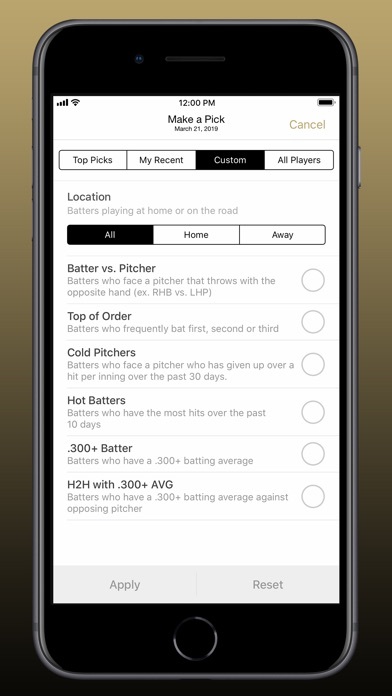 Pick one or two players who you think will get a hit each day, make correct picks for 57 straight games and the grand prize could be yours. 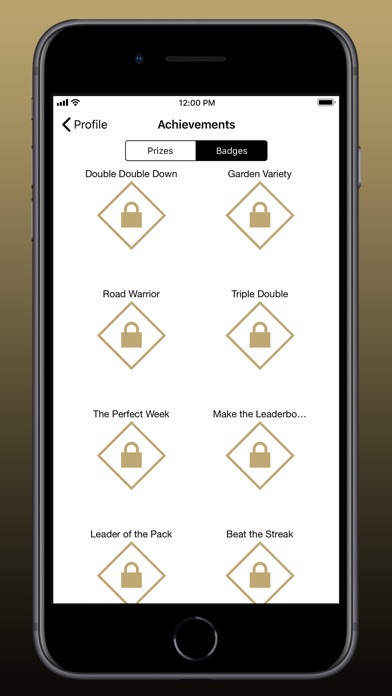 The game is free and takes only 15 seconds a day to play. NO PURCHASE NECESSARY TO ENTER OR WIN. Must be a legal resident of the U.S. or Canada (excl. Quebec) & of legal age of majority in jurisdiction of residence. 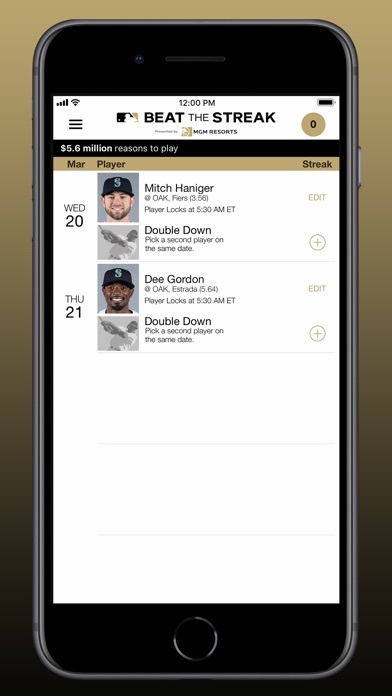 Ends following conclusion of final game of 2014 MLB regular season. The Grand Prize of US$5,600,000 is subject to applicable taxes & awarded as winner’s choice of (a) a 30-yr annuity of US$186,667 per year without interest; or (b) lump sum payment of the estimated present value of that annuity as of March 10, 2014 of approximately US$3,205,000. 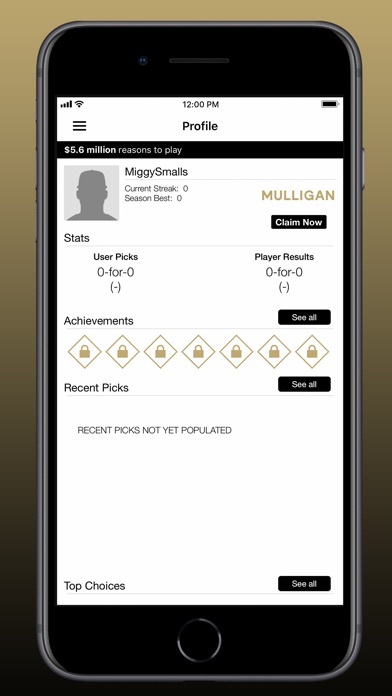 If no eligible participant achieves a 57-game hitting streak, Grand Prize will not be awarded. In no event will more than 1 Grand Prize be awarded. Void in Quebec & where prohibited. See Official Rules, which govern, for complete details.